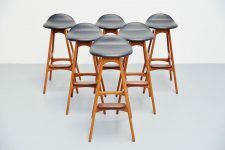 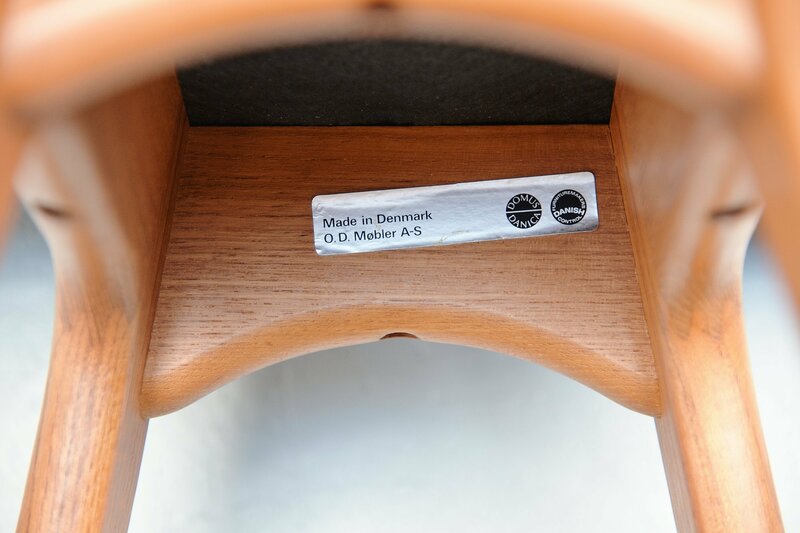 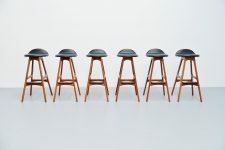 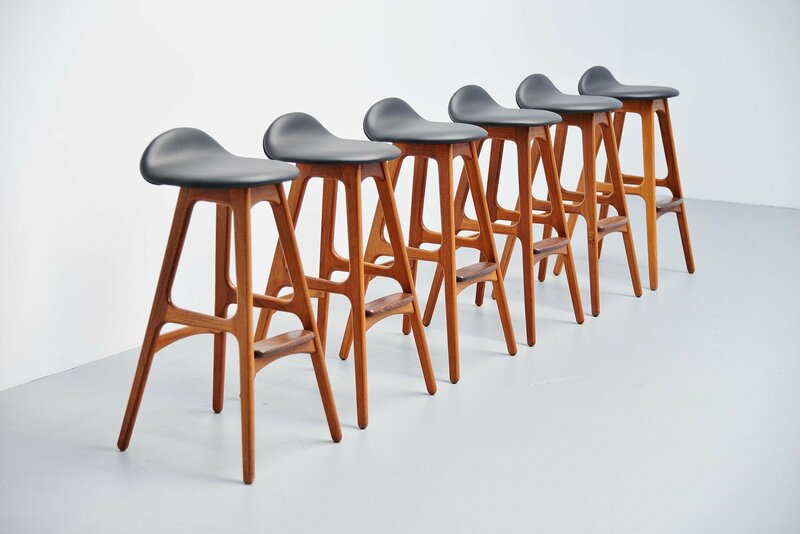 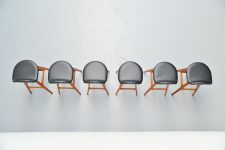 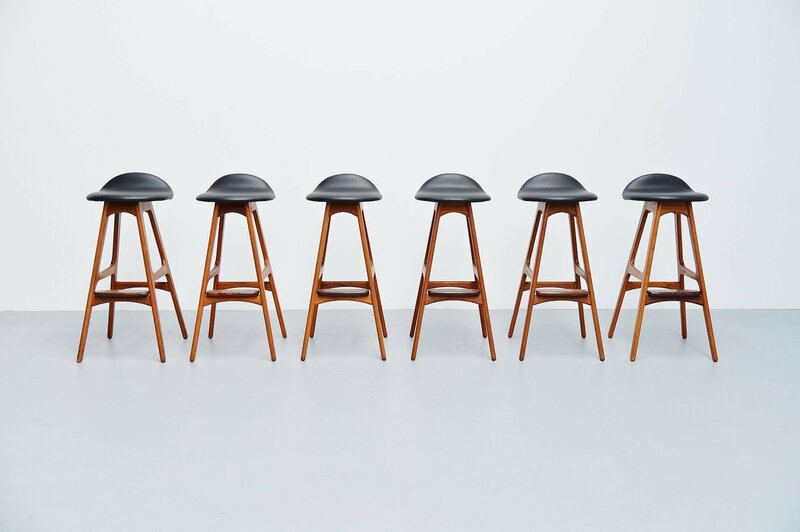 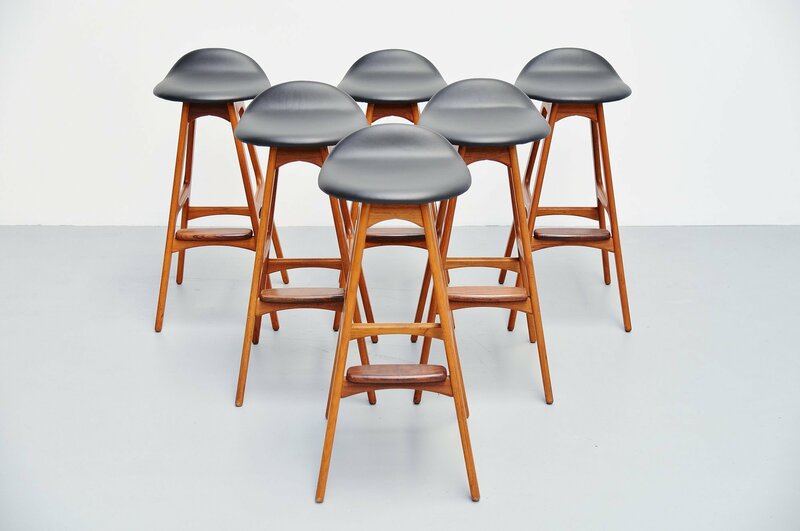 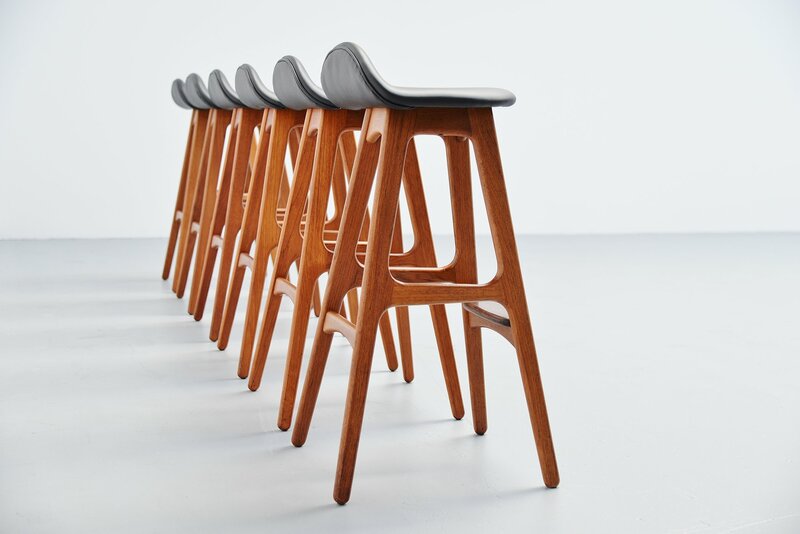 Elegant set of 6 bar stools model OD61 designed by Erik Buck and manufactured by Odense Møbler, Denmark 1965. 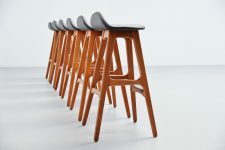 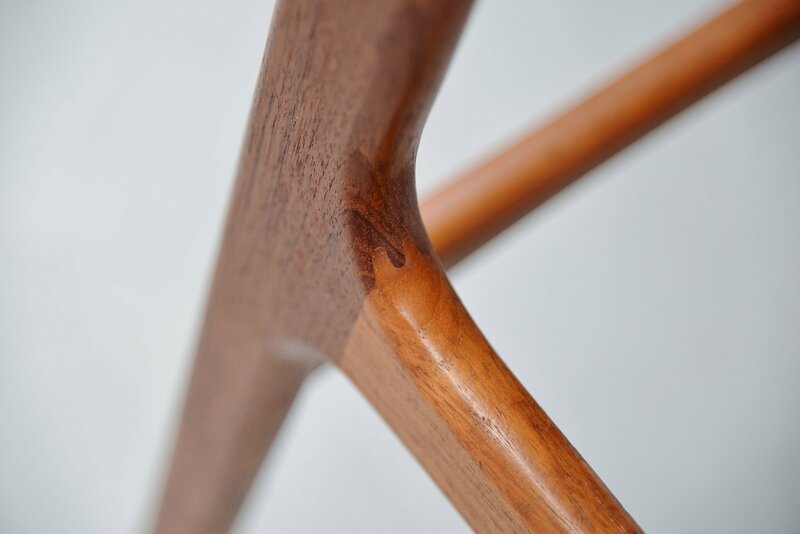 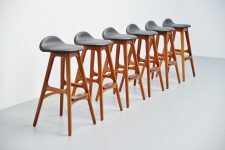 The stools have sophisticated solid teak frames. Finished perfectly into perfection with dovetail connections. 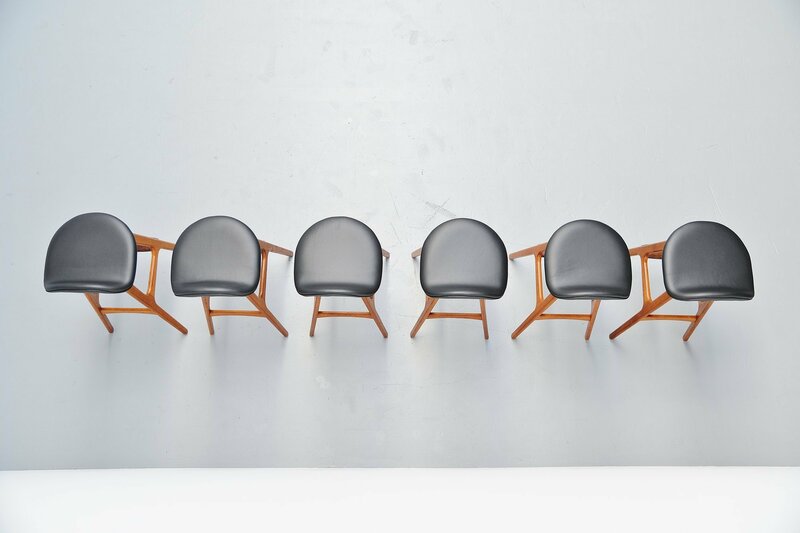 The seats are reupholstered in high quality black leather by Hulshoff. 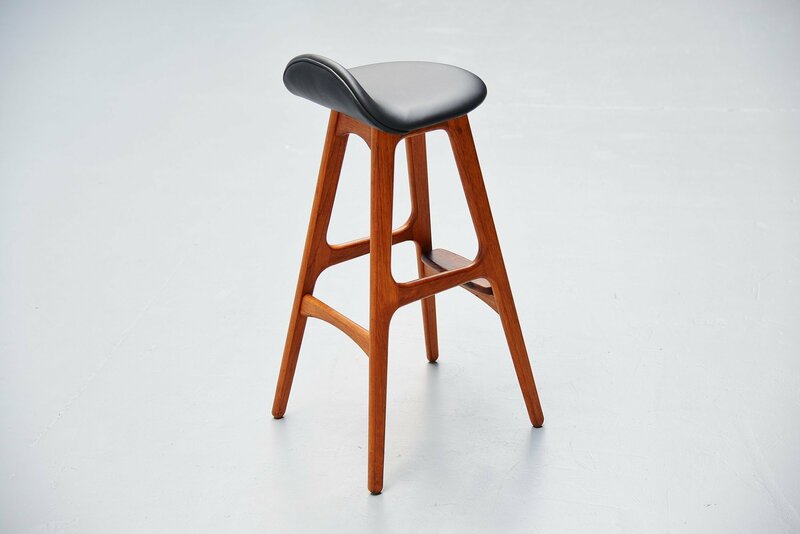 Stools are in excellent original condition and seat very comfortable.